In your view, what are three key elements of "new economies"? Collaboration at the individual and organization level is hugely important because there are many groups focused on a particular activity or vision, but we all need to work together. Cross-sectoral partnerships with the corporate and public sectors. We should not set up an antagonistic relationship with large corporations, but really build on good work being done to get the best of all worlds. What is the role of philanthropy in new or social economies? It’s a critical pivot point for the new economy because there are people in the philanthropic world who are able to take more risk and have a better understanding of how the marketplace works in a traditional sense, and also understand how it might work for social good. What we call the "first risk" – the most risky capital – can be philanthropic capital. There are just as many types of philanthropists as there are activities in the social economy, but philanthropy can be the catalyst for a social economy. We just have to be careful that it’s not the only pillar on which the social economy rests. For new social enterprises, the aim is to diversify the sources of revenue, with sales being the primary focus, and might be supplemented by government funding, grants from charitable organizations, donations, and fundraising activities. 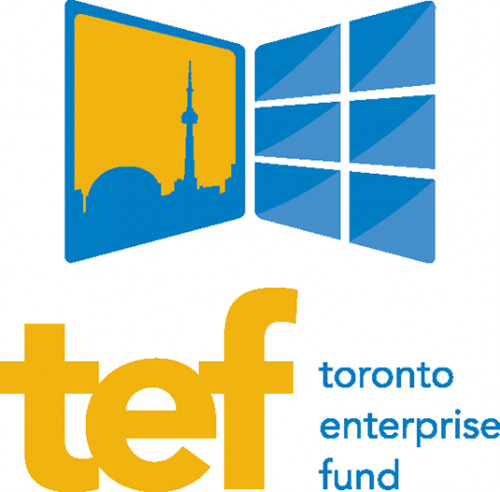 The Toronto Enterprise Fund (TEF) is a funding partnership between four contributors: United Way Toronto, the City of Toronto, the Province of Ontario, and the federal government’s Homelessness Partnering Strategy. Our fund was set up in 2000 to invest in social enterprises to hire people that are marginalized, primarily people who are homeless or at risk of homelessness. We have supported 50 unique enterprises and currently support 18. We provide seed funding for startups, three-year operating funds, and continual support to those that meet our goals of generate significant revenue from sales, and moving towards being proximal business that helps a certain type of individual to become permanently connected to the labour market. For most part, the fund has been extremely successful in helping people disconnected from labour market to become and stay connected. One of most successful social enterprises is Furniture Link, which is part of a charity called Furniture Bank, which accepts used donated furniture and reuses it for people who are moving out of shelters into independent accommodation. Furniture Link provides the paid service of furniture pickup, and employs about 30 workers who have multiple barriers to employment, whether they are living in shelters, newcomers to Canada, or youth unable to find work. How does this relate to the city of Toronto? Toronto has been around for hundreds of years, and grown enormously in last 50 years without strong urban planning. My sense is that there hasn’t been a strategy to include the social economy or social enterprises in the planning. However, that’s starting to change. In the last few years we have been rezoning our inner suburbs, which have been plagued by low levels of community service organizations, high unemployment, and unattractive residential towers. Part of the challenge is that these communities are zoned 100% residential, which means there are no businesses nearby. The rezoning would mean the businesses can be located in the towers or adjacent locations. That will help to change the dynamic of those areas to create local employment, access to goods and services, and reduce reliance on cars. Many of these businesses will be part of traditional economy, but there is now space for organizations to think about how they can help revitalize these communities through social enterprise. What is the role of traditional businesses in the new economy? In the last few years, more and more businesses are interested in being part of social economy. Many traditional business are going for the BCorps certification, which for some may be a marketing exercise and for others are grounded in their values. For years, large corporations have been looking to include sustainability, and are now looking to be more socially beneficial. This might be changing the way they hire, including people who are marginalized. There is a movement driven by the philanthropic and non-profit sector to get businesses to be aware of their social impacts, but I’m noticing that the businesses themselves are much more interested in making those changes. This is happening at all different levels from businesses operated by individuals to family businesses to large multinational corporations. I’m hopeful that this is not just fringe movement, but a deep-seated visionary movement. From a community point of view, real wealth is about relations between people, sense of safety, access to goods and services, and having mechanisms for problem-solving. A wealthy community would be diverse and inclusive. On an individual level, real wealth means having a job that allows you to be a net contributor (rather than net receiver) to the economy and to society. 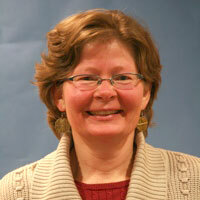 Anne Jamieson is Senior Manager, Toronto Enterprise Fund, at United Way Toronto. In addition to overseeing grants to a portfolio of social enterprises, Anne is committed to building a strong, vibrant and sustainable social enterprise sector in Canada. She launched the Canadian Conference on Social Enterprise series in 2004, is a founding member of the Social Enterprise Council of Canada, chairs the Ontario Social Economy Roundtable, and is involved with the Toronto Community Benefits Network. She presents regularly on social enterprise development and impact investing at conferences, seminars and webinars. Anne’s background is in small business development and, for contrast, international commercial finance. She helped young entrepreneurs get started with loans and mentoring while working at the Canadian Youth Business Foundation, and before that provided self-employment training and advice to out-of-work aspiring business owners in her position at the Community Business Resource Centre. Anne previously worked in the UK in trade finance and commercial lending. Anne holds an MBA from Ivey, and an Honours BA from U of T.
This blog is part of the 'Voices of New Economies' series within Cities for People - an experiment in advancing the movement toward urban resilience and livability through connecting innovation networks. The Voices of New Economies series is collectively curated by One Earth and The Canadian CED Network. This series is an exploration of what it takes to build the economies we need - ones that work for people, places, and the planet. We are connecting key actors, finding patterns, noting interesting differences, and highlighting key concepts and initiatives. Together, this series offers insights into the new economies movement as it develops.